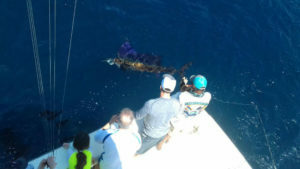 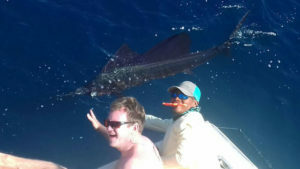 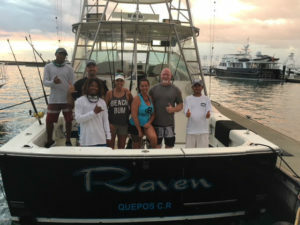 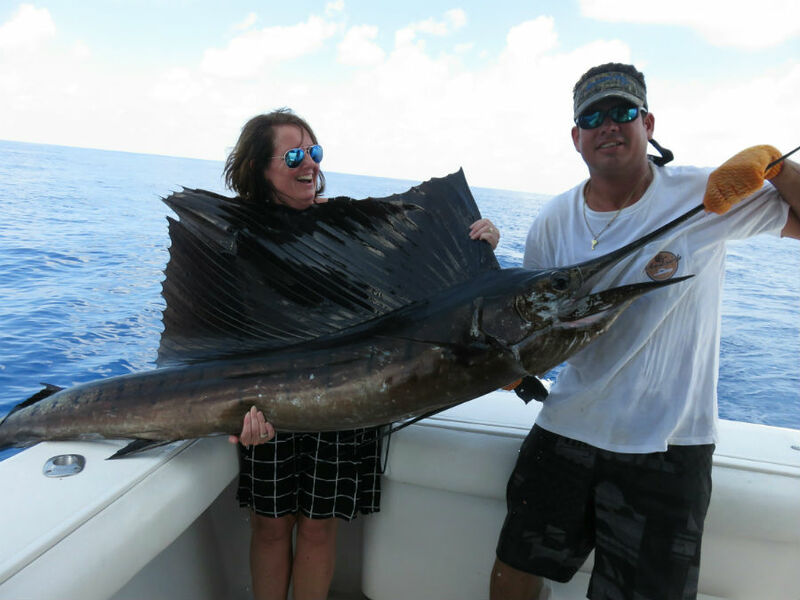 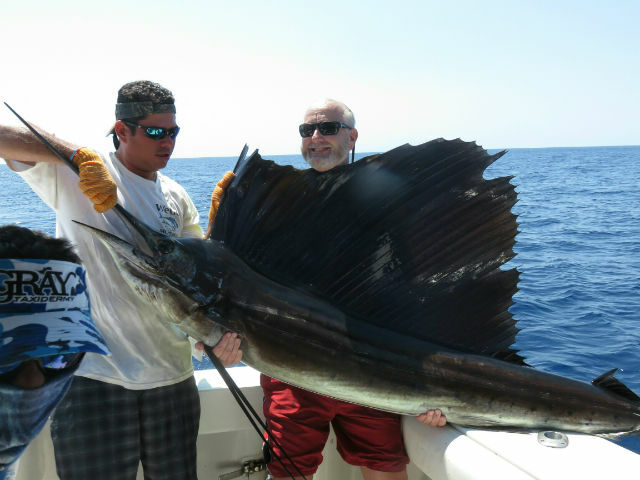 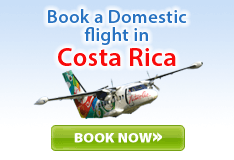 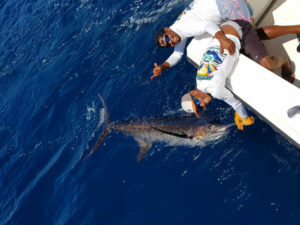 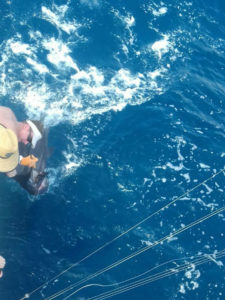 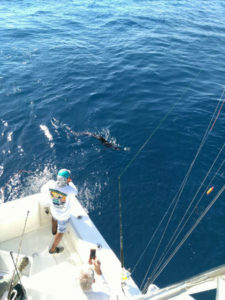 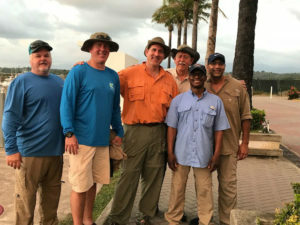 February 22: Raven released only one Sailfish today continuing a hard day! 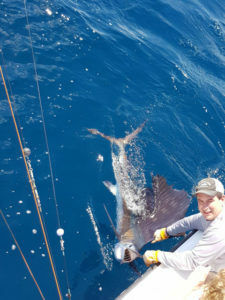 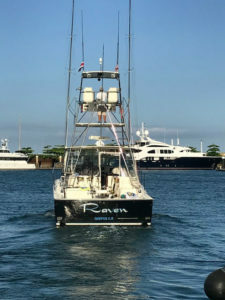 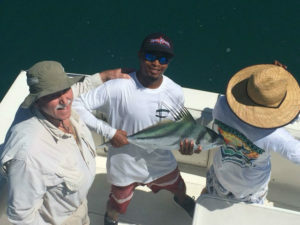 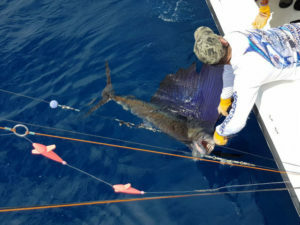 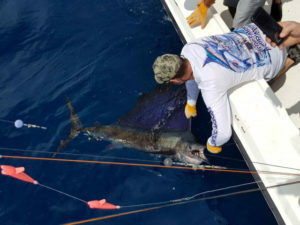 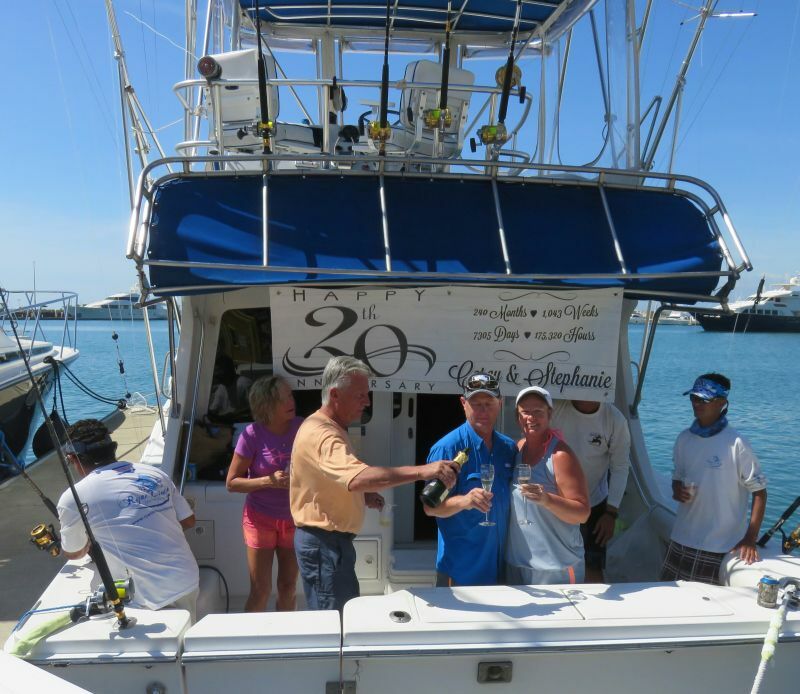 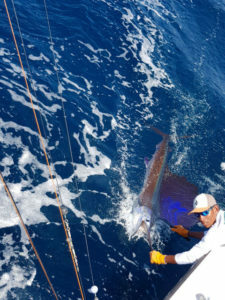 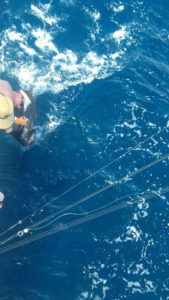 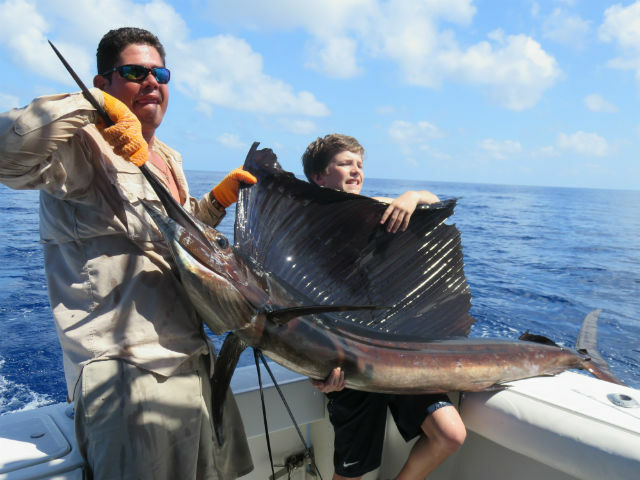 February 21: For Jon Amber, Tim Rogers and Brian Treece on their 2nd day aboard the Raven released 2 Sailfish, got 1 Tuna and 1 maui. 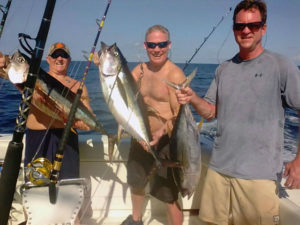 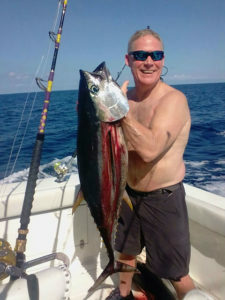 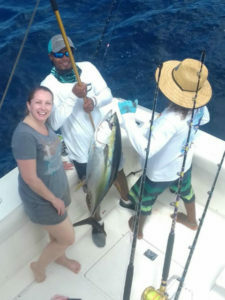 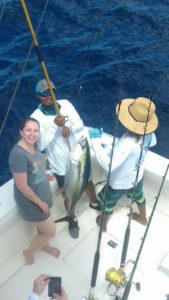 February 18: Angie Shultz and her family released 2 Tuna and also got 5 Tuna today. 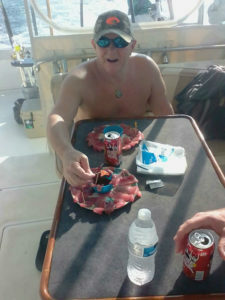 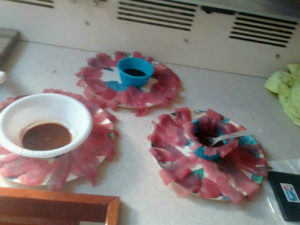 Nice Sashimi!!!! 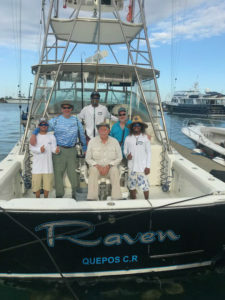 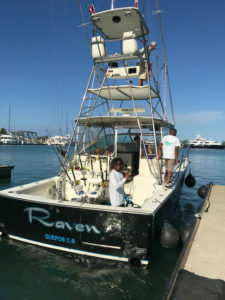 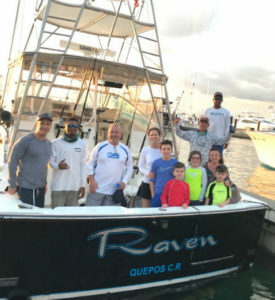 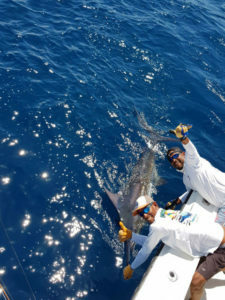 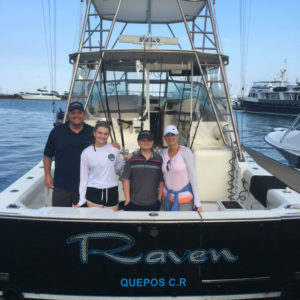 February 13: Raven today with a nice Blue Marlin, also released a Sailfish and got 3 Tuna for the Sunny Mistry group of guys here this week. 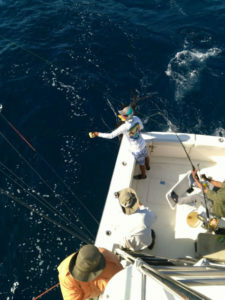 February 10: Final Day of Marlin University and placed 2nd for the Tournament went 2/5 on Sailfish today. 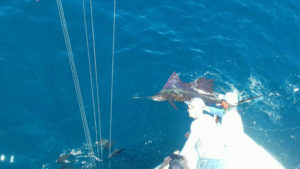 The students doing all of the catch procedure.